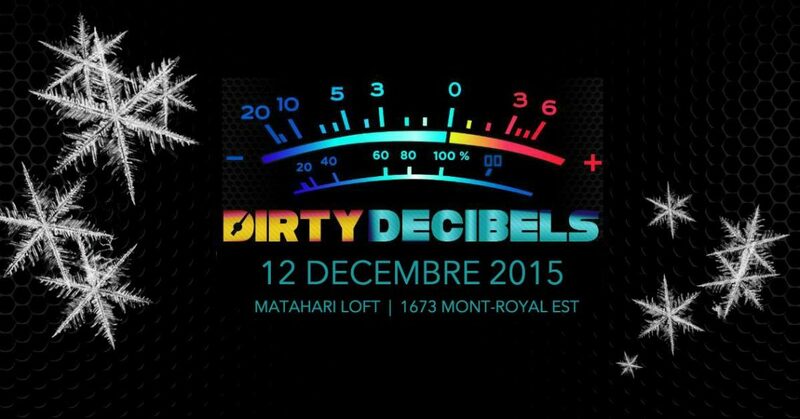 DIRTY DECIBELS: a DJ duo from Toronto dedicated to the hottest bassline house and electro with that garage soul. These two have been selling out their monthly that goes by the same name for the past YEAR and are guaranteed to make you sweat and forget. You definitely wanna get there early for the warm-up with DRINK SPECIALS and ALECTRIC throwing down the latest deep trippy trap, dancehall, r&b and electro house. To end the night right, we’ll to send you off into the wee hours with the bouncey tech house, minimal techno, microhouse and popping bassline steppa grooves of FORAGE & ASHA. Please note that this is NOT a BYOB event but we’ll be serving up cheap, imported December-cold beer, wine and special, fancy drinks that you won’t find anywhere else. And SAMOSAS!! Whaaa?!? DRINK SPECIALS BEFORE 11 PM! !